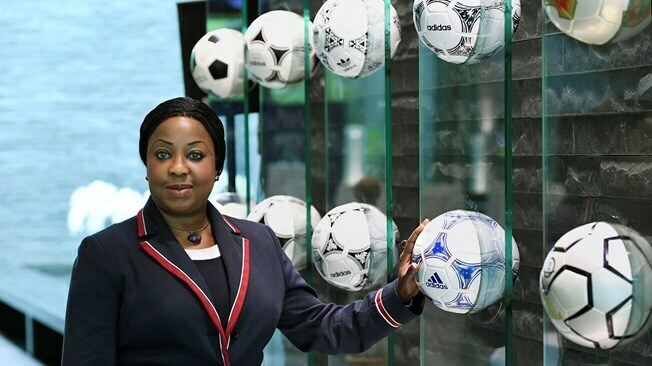 Fatma Samoura has broken the glass ceiling in global soccer. She is not only the first African and non-European to hold the post of FIFA (International Federation of Association Football) Secretary General, but also the first woman too. On 13 May 2016, the FIFA Council appointed Fatma Samba Diouf Samoura as FIFA Secretary General to replace Jérôme Valcke, from France. Samoura is responsible for implementing council decisions as well running FIFA’s finances, international relations, the organisation of the World Cup and other competitions. This is fitting as the 54-year-old Senegalese brings with her more than two decades’ worth of experience in international relations gained while working at the United Nations. She holds a Masters Degree in English and Spanish from the University of Lyon; and a Post-Masters Degree in international relations/international trade from the Institut d’Etudes Supérieures Spécialisées (IECS)- Strasbourg-France. Samoura started her career at the UN as senior logistics officer with the World Food Programme in Rome in 1995. She has served as a country representative or director in six countries: Djibouti, Cameroon, Chad, Guinea, Madagascar and Nigeria and she speaks four different languages – French, English, Spanish and Italian. We’re glad that a woman is holding such a position in a prestigious organization that has until her appointment been something of an old boy’s club. We cheer for her as she takes on patriarchy in FIFA.